Tomorrow marks my last day of my first year of college. It's funny: the feelings I have today versus the feelings I had in September. 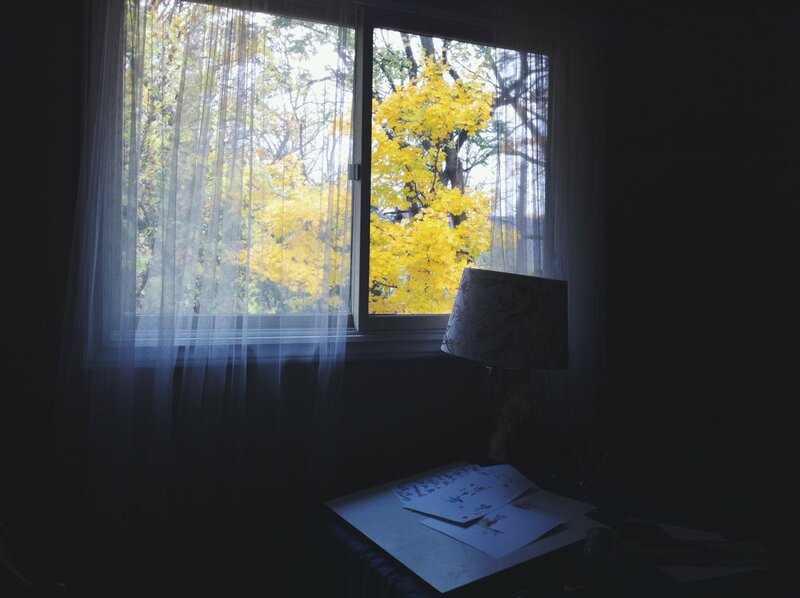 September, I was nauseous; today, I am nostalgic. The difference is enormous. Instead, I'll place them here for us both. She looked at the class as she said this. She is a tall South African woman, with a calm, lilting voice and a gentle spirit. She smiles often and thanks the class regularly for our contribution. "Drink in the silence," she said again. "When it is the middle of the night and you wake up, just you and the darkness, pause for a moment. Drink in your own thoughts, and the wonder of life. Think about all the things you'd like to do, so when you wake up you can start doing them." "When you wake up in the morning," she said, "Do not think, 'Why do I have to get up today?' Instead, think about your purpose. Find a purpose; choose a goal. If you have a goal, there is no excuse for you not to get up out of bed. If you have a purpose and a goal everyday of your life, I promise you, each night you will fall into bed tired, exhausted from your purposeful day." Practice the art that makes you feel alive. Immediately I thought of the hundreds of pages of fiction I've written, chapters of secrecy I've stashed deep in my computer. I feel alive when I write fiction, and poetry, and people's stories. "Always practice the art that makes you feel alive and that allows you to express the life you have as a human being," she said, smiling. "Whether that's playing music, or drawing, or acting, or writing, or singing. We don’t do these things to become Shakespeare or Beethoven or someone famous. We do these things because they make us come alive." When things go wrong, contribute to change. She spoke about this one person she knew who complained often, but never seemed to try and change the things he was complaining about. I thought of myself immediately when she said it: do I complain and leave it at that? I don't want to be satisfied when something is mediocre. I want to be an agent of change. "When something goes wrong," she said, "Don’t just complain about it. Do something about it. Do something about the things that frustrate you." Surround yourself with courageous people. This was my favourite phrase of hers this semester. She's a strong believer in courage -- and oh, so am I. "Identify courageous people and surround yourself with them," she said. "They will say or do things that will help you be courageous when you need it most. Forget about popular people, and wealthy people, and influential people. Instead, make sure you have courageous people in your life. Take note of them and tell their stories to everybody." I am excited about my first year of college. I have loved many moments, gathered new skills, and met kind people. My brain has been like a sponge, soaking in information at rapid speed. But this professor was the most impactful for me. Before I left today, I thanked her for the final time. "Do it all, Aliza," she told me. "Write more fiction and poetry. Publish four books. Go places and write from there, make more art, and figure out a way to blend all of the things you love together." My steps were light even as I bounded out of the building and into the April rain. No one had quite told me that before. I never realized it was something I needed to hear. It is snowing as I write this. It's as if Christmas is here already. I'm tucked in my house, warm, with a scarf wrapped around my neck, and I'll put on the carols soon. I'll let them play throughout the rooms and I'll paint and I'll be still. I'm trying to teach myself that being still is alright. I often think if I'm not constantly doing something -- producing art to sell, or words to publish, or work to be paid for -- I must be thought of as lazy and unable to prove my worth. I desperately want to stop trying to prove my worth. I desperately want to start making art for me. As you probably already know, I'm scared of what you think of me. I wish I wasn't. I try not to care. I want to be strong and independent and able to shrug all the opinions in the world off my shoulders. But I'm not able to do that just yet. I'm most scared you'll think I'm selfish or arrogant. I'm doubly scared you'll think I'm both. I think that's why I'm fearful to make art for me. Because if I do that for myself, I must not be offering you something. And in my head, I always want to be offering the world something. Where will I get in life if I don't offer the world my all? But my soul is tired. Perhaps a bit unsettled, too. I've been feeling this for a long time, and I wish I could go somewhere alone for a few weeks -- without my phone or the internet or possibly even my mind. I'm going to make art for just me. I don't know what that looks like yet. Maybe tangible art like painting or lettering, maybe more walks. Maybe more music and less noise. Maybe more hand written letters and more risks and taking more chances on who I am. Taking chances on who the God of this snow fallen earth designed me to be. I'm going to go turn on the carols now. I want the songs to fill this room and the holy refrains to echo long after it's been switched off. I'm going to go make some art for just me. 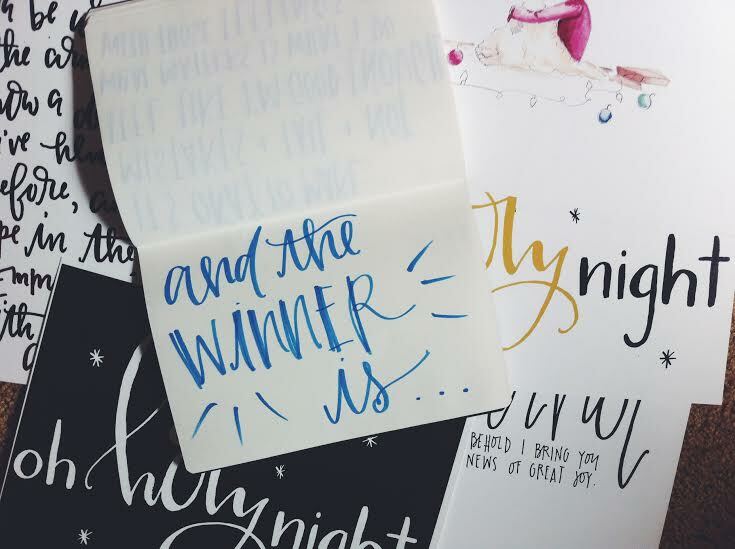 And the winner of the Giant Christmas print bundle giveaway is... Julie Wilson!! Yay! Congratulations, Julie. Check your inbox for an email from me! Merry (very early!) Christmas to YOU. BUT, for the rest of you, I put out a special discount for this week only. Use the code WINNERWINNER for 20% off your entire order at the Choose Brave Shop. This can be for any print in the shop, not just the Christmas collection. Giant Christmas print bundle giveaway! We are having a giant Christmas print bundle giveaway! One lucky person will win over $100 worth of hand lettered prints that were just released yesterday! 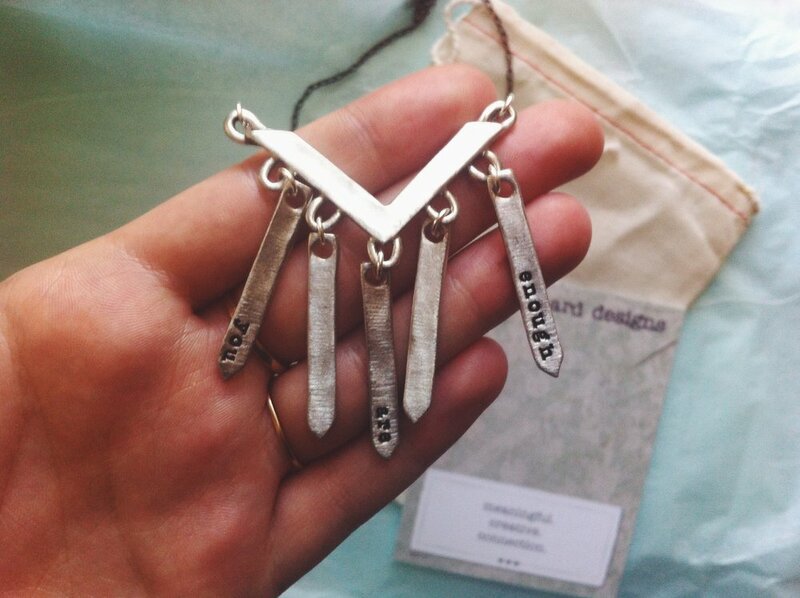 Perfect for decorating your house this Christmas (and giving away to a friend!). Someone will win ALL of these prints from the recent Christmas collection from the Choose Brave Shop. Canada and US residents only. Follow these instructions for SIX ways to enter this giveaway! You can choose any or all of them. This giveaway closes at 11:59 EST on Sunday, November 9th. The winner will be randomly drawn on the morning of Monday, November 10th. Use this Rafflecopter form to enter. Yahoo! Make sure to check out the Choose Brave Shop where I am selling these hand lettered prints, as well as many more! You can find it HERE. if your dreams don't scare you, who cares? If you were to go on Pinterest today, I could guarantee that at some point in your pinning and scrolling and wishing for more time, you would stumble on probably my least favourite quote in the entire universe. I don't know who first said it or wrote it or made it up. But if I ever find out you can bet I'll be on my way to their home with a few very choice words for them. And I am here, with my very humble and obviously important opinion, to tell you that I think this is all wrong. Look, I'm not against dreaming big. I happen to be the type of person who dreams often and dreams huge. Most of my dreams have a very very small possibility. But I love to dream. I was talking to my friend a few weeks ago. We were talking about dreams, because that's definitely one of my favourite subjects to chat on. She looked at me and said, "I don't know what my dreams are." "Well," she said, "I have dreams. But they're small and quite ordinary. They're not big or important like other people I know." I couldn't believe how sad I was when I heard her say this. As if the importance of dreams are measured by the scale of probability. I don't think they are. I don't think they should be. Don't be afraid to dream small or big or somewhere in the middle. They're your dreams, after all. Maybe you dream about being in a movie, or writing a book, or taking your babies to the farmers market. Maybe you dream of getting married in a huge church with a thousand people, or getting married in your backyard. I don't care if those dreams scare you or not. Those dreams are brave. I want you to hear that. Your dreams are brave. We made it, people. I say "we" because I somehow posted something here for 31 days in a row, and you somehow read them. I think you had the harder job. I want to thank you for reading. I can't actually express how much that means to me -- whether this is the first post you've read or the 31st. It doesn't really matter how few or how many. It still means a lot. I hope you've been encouraged by a few of these. I hope you begin to understand the depth of your worth. I hope you place your value in the centre of Christ's hands, and I hope each day you meet him there, in the quiet where you feel small. I hope you realize that your inadequacy is in fact adequate. I hope you know you're more than what you could be labeled as. I hope you write a letter to your body. I really just hope you know you're enough, and even when you don't feel enough, Jesus will indeed be enough for you. That's what I hope you know most of all. So they say this is the end, but in truth you and I both know the end is far from here. Because sure, we're both probably thankful I won't be writing here every single day anymore, but enough is a choice that I hope you and I will both continue to choose. Thanks for not breaking up with me. I've loved hanging out with you. I would love to hear what your favourite part of this 31 days series has been, and what things you'd like to hear from me in the future! This is day thirty-one. You can find the rest of this series right here. I think today I could fall over in exhaustion and it's days like these where I find myself succumbing to the claws of inadequacy. But I'm going to remember where my worth is rooted. This is what I've started to say to Jesus each morning. Let my worth be rooted in You. I wake up and say it, while I'm still beneath the white covers, huddled inside my sheltered cocoon. I'll walk to work and say it, while the sky hasn't woken up and the air is cold and my breath has begun to show. I'll tie my apron and say it, while I knot it behind my back and loop the string into the other and switch on the lights and lock the front door. I'll clock out for the day and say it, while I leave in a hurry and go home to my words and my art and my to-do list that most likely won't get done. I'll scan my Instagram and say it, while I see pictures of real people in their real lives, which are both beautiful and messy, both ordinary and remarkable. I'll wash my face and say it, while I brush my teeth and crawl into bed and get ready for a brand new day, one where I'll pray all over again that my worth may be rooted in You. This is day thirty. You can find the rest of this series right here. I was walking home from work today. It was crisp and the leaves have almost all fallen, with half the trees bare and the other half holding on for a little while longer. I wonder which one I am today. If I'm the leaf willing to dive deep into the next season, or if I'm the one holding on, not quite ready to let go just yet. There's been something stirring up inside of me recently. It's the kind of stirring I can't put a finger on. It's exciting and uncomfortable all at the same time, and it's not seeming to want to go away anytime soon. I feel dreams and ideas and sentences that begin with "perhaps this..." bubbling to the surface and I know they'll soon overflow from me. And maybe it's the season. Maybe it's the realization that everything is always changing, that nothing is ever staying truly the same. Because even as fall settled in, winter has been coming closer each day. Fall was never really here to stay. And maybe that's what I'm feeling too. That this season, this time, it's never really here to stay. And I've been fearful to test out these new things because I can't quite see past them yet, and it's always so much easier when we have a little bit more of the picture. That always feels a little more comforting. You all know how much I like having a decent grip of control. But as I was walking home today, I tried to come to terms with something -- that this, right now, this is what I have been given. And maybe it's time to take a good leap across some waters that feel unsteady and not sure, and maybe as this season glides into the next it's time for my seasons to change too. Honestly, maybe all this talk about inadequacy is making me realize that it's okay to hand all of this over to Jesus and ask him to make me a little more brave and little less of a control freak. You see, if this year has taught me anything, it's that it's okay to take a risk. Perhaps it's more than okay, perhaps it's just real good. I know it's hard when we're walking down a road and we can't quite see what's coming up next. I know it's hard to envision a massive leap because what happens if we fall? I know it's hard to give up the reins when we want security and safety and a secure plan B. But it's a long walk home. I would hate to miss out on an even better season if I stayed the leaf that kept on holding on and wouldn't ever let go. This is day twenty-nine. You can find the rest of this series right here. "I can't do it. Look, everybody else can. What's wrong with me?" I could feel myself start the beatdown. I am trying (insert literally anything) for the first time in my life and I couldn't do it. I told myself all sorts of things. Obviously, I am stupid or broken. Obviously, I am worse than everybody else. Obviously, everybody else cares about what I am doing and will mock me for failing. Obviously, I should be perfect and recognized for my abilities after a single attempt at something new. You might think this is a gross exaggeration, and that there's no possible way anyone could ever feel this way. People have to learn; we all start somewhere. We usually all start in the same position. But I know you've also all met someone who was what we call a "natural" at something. The people who we hold in high regard because we imagine they can do no wrong. They seem to do well at everything they attempt. It's normal to compare yourself to others. And jealousy comes all too easily. See, I expect to be a professional at everything I attempt. I see people do something cool or interesting or worthy in my eyes, and I want to be able to do it the same way; if not better. I wouldn't exactly call it a competitive nature, this emotion that bubbles up inside me. Maybe it's a lack of sympathy. The majority of people who are good at something have put a lot of time, effort, and even money into their skills. I am the one who mocks when I expect to do better when I've done absolutely nothing to earn it. I just want to be good enough right now. There's that desire for instant gratification that our elders are always poking fun at "kids these days" for. I have the head knowledge that being good at something takes more than five seconds. But my insecurity, my desire to be enough when I never feel like I could be, takes over. I can think of things in my life I've done and been recognized for. But I often I push people away who are kind to me by making them feel like their praise isn't enough. Others are never as hard on me as I am on myself. Sometimes people say I'm creative, I can draw well, I'm a good writer. But I don't consider myself worthy of praise in any area of interest I have, despite what I'm told. I know perfection can't be attained; I pass on this nugget of wisdom to many of my friends who constantly try to please everyone. So why am I so hard on little old me? Deep down, I know I'm good enough. It takes a little digging sometimes, but I know I can do a lot of things I put my mind to and my heart into. My desire to try new things and want to gain new skills can be enough to get me going, instead of feeling sad and low. And even if I'm not good enough right now, whether it's writing an essay or playing a sport or instrument, I can always improve. There's a strange line between accepting yourself wherever you are -- feeling like you're enough -- and striving for more. So, this is an address to anyone I've ever been jealous of or compared myself to. I know you didn't magically get good at dancing or singing or writing or making sculptures. You loved those things, and you wanted to be good at them, and that was enough for you. This is also an address to myself. There's nothing wrong with me. I'm not good at everything. I'm not perfect. It's okay to make mistakes and fail and not feel like I'm good enough. What matters is what I do with those feelings. And finally, this is an address to anyone who wants to feel like they're enough. I'm certain you are good right now - just as you are. In fact, I know you are! But I challenge you to channel your negative energy elsewhere; channel it towards yourself, yes, but positively! Turn the negative into something that can make you feel like you're good enough to keep trying. I promise that you are. This is day twenty-eight. You can find the rest of this series right here. So anyway, I bought myself a reminder. I got the necklace engraved with the words "you are enough" because honestly I don't believe that 99.9% of the time. I used to think that if I didn't "get" it, I would have failed. We're on day twenty-seven of choosing enough and I still don't get it. But I'm choosing that not to be thought of as a failure, but instead a reminder I may need daily. This is day twenty-seven. You can find the rest of this series right here.